29 Marlborough is located on the north side of Marlborough, between Arlington and Berkeley, with 27 Marlborough to the east and 31 Marlborough to the west. 29 Marlborough was built ca. 1869, one of three contiguous houses built in the same style (29-31-33 Marlborough). The similarity in style of these houses has been largely obliterated by the lowering of the front entrance of 33 Marlborough in 1916 and the significant remodeling of 31 Marlborough in 1937. The land on which 29 Marlborough was built was part of a larger tract of land originally purchased from the Commonwealth of Massachusetts on November 6, 1858, by George Goss. He and his partner, Norman Carmine Munson, were the contractors responsible for filling the Commonwealth’s Back Bay lands. The original tract had a frontage of 421 feet and ran from where 9 Marlborough would be built west to Berkeley Street. On the same day he purchased the land, George Goss subdivided it into smaller parcels and sold them to several different buyers who then resold the land to others. Click here for an index to the deeds for 29 Marlborough. She continued to live at 29 Marlborough until her death in April of 1888. 29 Marlborough was not listed in the 1889 Blue Book. On June 28, 1889, 29 Marlborough was acquired from the estate of Charlotte Johnson by Samuel Savage Shaw, a lawyer and trustee. He was unmarried and lived at 49 Mt. Vernon. By the 1889-1890 winter season, 29 Marlborough was the home of Miss Hannah Ring. She previously had lived at 4 Spruce. She continued to live at 29 Marlborough in 1894, but had moved to 80 Beacon by 1895. 29 Marlborough was not listed in the 1895 and 1896 Blue Books. By 1897, 29 Marlborough had been converted into a lodging house. From about 1898, it was operated by Lewis Russell Clapp, a piano tuner, and his wife, Susan A. (Carson) Clapp. They previously had lived at 405 Boylston. 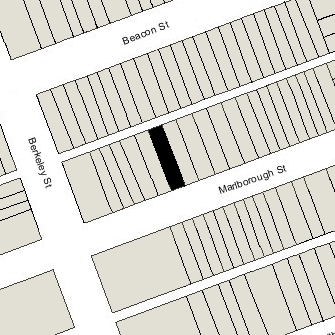 At the time of the 1900 US Census, they were joined at 29 Marlborough by nine lodgers. 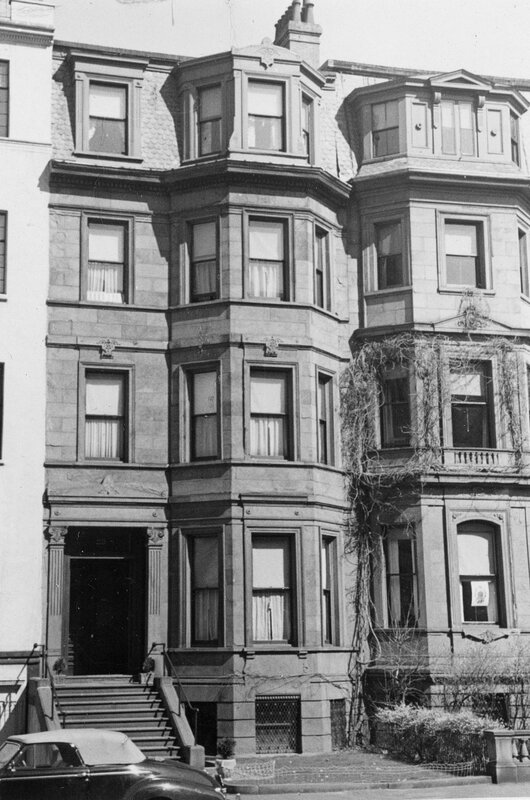 The Clapps continued to live there until about 1902, when they moved to Jamaica Plain. By 1905, 29 Marlborough was the home of Mrs. Mae (Myrtie) M. (Savage) Green, the widow of John H. Green, and their daughter, Maytie (Mutren) Green. They continued to operate it as a lodging house. One of the earliest lodgers at 29 Marlborough was Dr. John Dane, an orthopedic surgeon, who lived and maintained his medical office there from about 1897. He continued to live at 29 Marlborough until his marriage in August of 1909 to Eunice Cooksey. After their marriage, they moved to 451 Marlborough. He continued to maintain his medical office at 29 Marlborough. Samuel Savage Shaw died in September of 1915. On May 22, 1916, 29 Marlborough was acquired from his estate by James W. Austin, and on September 18, 1916, it was acquired from him by John Dane. On April 7, 1936, John Dane transferred 29 Marlborough into his and his wife’s name. He died in March of 1939, and on July 14, 1939, Eunice Dane sold 29 Marlborough to real estate dealer Joseph L. Moulton. Mae and Maytie Green had continued to live at 29 Marlborough and manage the lodging house until about 1939, but moved to Brighton by 1941. On August 16, 1939, 29 Marlborough was acquired from Joseph Moulton by Mabel Anne (Cowie) Adams Doyle, the widow of Dr. William Gray Adams, a physician, and the former wife of Henry Lawrence Doyle. She used the surname Adams even though she had been married a second time to Henry Doyle. She lived at 20 Marlborough, where she operated a lodging house. In October of 1940, she filed to convert 29 Marlborough from a single-family dwelling into a lodging house, legalizing the status that had existed since before the turn of the century. She abandoned the permit because the house lacked sufficient means of egress, and refiled in June of 1942, indicating that the fourth floor fire balcony on the rear of the building would be extended to the right rear room. In 1942, the lodging house was managed by Mrs. Jane (Jennie) (Winchester) Towers, the former wife of Everett Towers. In 1940, she had lived at 11 East Newton and was a nurse. By 1943, she had moved to 19 Marlborough. On September 1, 1943, 29 Marlborough was purchased from Mabel C. Adams by Edward Vincent Atwood and his wife, Margaret Lestina (Gluck) Atwood, who operated it as a lodging house. They previously had lived at 675 Boylston. In April of 1945, they purchased and moved to 212 Beacon. They continued to own 29 Marlborough, and on February 1, 1946, they transferred it into his name. On February 1, 1946, 29 Marlborough was acquired from Edward Atwood by Jarvis Atwood Stebbins. He and his wife, Cornelia (Bigelow) Stebbins, lived in Reading. On July 10, 1946, 29 Marlborough was acquired from Jarvis Stebbins by Bertha May (Leslie) Sollis, the widow of Richard Thomas Sollis, who continued to operate it as a lodging house. She previously had lived at 115 Gainsborough. She continued to live at 29 Marlborough until 1957. 29 Marlborough subsequently changed hands. It remained a lodging house under different operators until about 1965, when it was known as the Gardens Guest House. The house was not listed in the 1966 City Directory, and by 1967 appears to have been subdivided into several apartments. It subsequently changed hands several more times, and on July 23, 1975, was acquired by Sars Realty, Inc., of Maynard, Massachusetts On December 31, 1982, Sars Realty transferred the property to its president, Christina M. Malcolm. She died in December of 1988 and the property was inherited by Janice A. Nelson. In September of 1992, she filed for (and subsequently received) permission to legalize the occupancy as seven apartments, indicating that as the existing condition at that time. On November 12, 1992, 29 Marlborough was purchased from Janice Nelson by Walter J. Bornhorst. In February of 1993, he filed for (and subsequently received) permission to convert the house into six apartments. 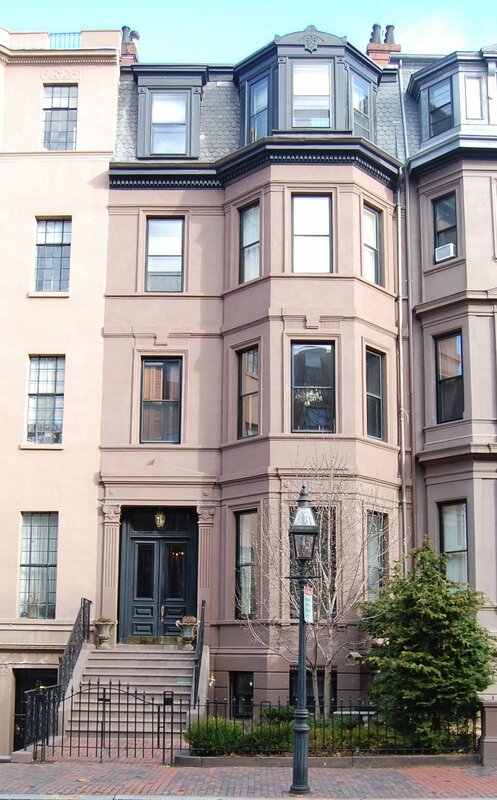 On June 12, 1997, he converted the apartments into six condominium units, the 29 Marlborough Street Condominium.